Wishes are delivered in the most stunning way by gifting this Provocative Stuffed Celebration Special Cream Teddy Bear for lovely people in a lovely way. 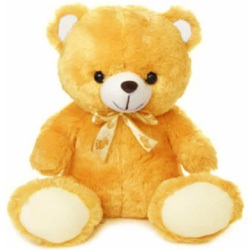 Sends unforgettable memory to your special recipients by sending this Cream Teddy Bear. It is 12 inches in size.